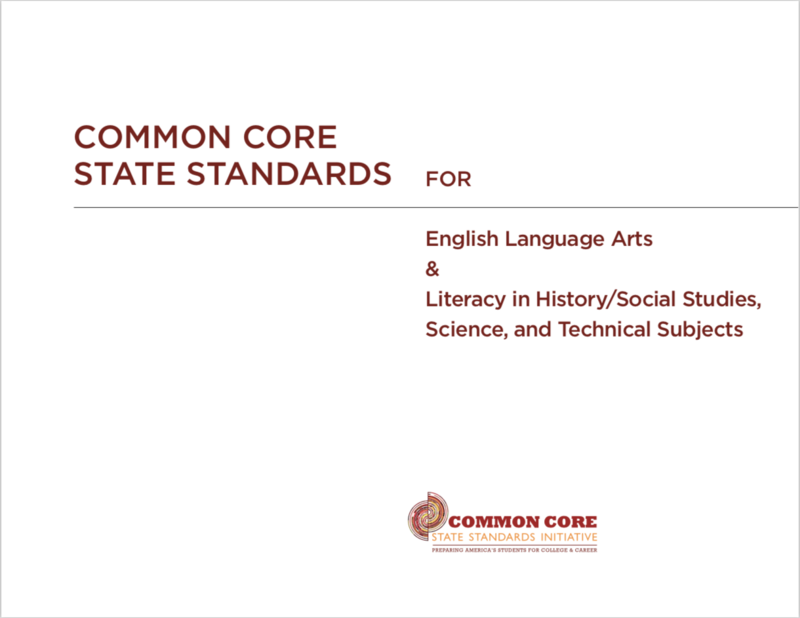 The Common Core State Standards for English Language Arts & Literacy in History/Social Studies, Science, and Technical Subjects (“the Standards”) are the culmination of an extended, broad-based effort to fulfill the charge issued by the states to create the next generation of K–12 standards in order to help ensure that all students are college and career ready in literacy no later than the end of high school. The present work, led by the Council of Chief State School Officers (CCSSO) and the National Governors Association (NGA), builds on the foundation laid by states in their decades-long work on crafting high-quality education standards. The Standards also draw on the most important international models as well as research and input from numerous sources, including state departments of education, scholars, assessment developers, professional organizations, educators from kindergarten through college, and parents, students, and other members of the public. In their design and content, refined through successive drafts and numerous rounds of feedback, the Standards represent a synthesis of the best elements of standards-related work to date and an important advance over that previous work.